Proposal Submission Extended to May 20! The series brings together a set of two and one-half day symposia at a common site, providing a unique and intimate forum for colleagues in a given discipline. 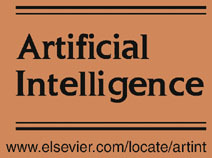 The series also provides an important gathering point for the AI community as a whole. Efforts are made to keep registration and lodging costs low so that graduate students can afford to attend. The series is designed to minimize the administrative burden on the organizing committees of the individual symposia. AAAI manages registration and local arrangements, and provides organizational support, publicity within the AAAI community, and publication of working notes for distribution within the symposium and (optionally) the community at large. The series runs twice yearly (spring and fall). Approximately eight symposium topics will be selected for the 2016 Fall Symposium Series. Accepted proposals will be distributed as widely as possible over the subfields of AI, and balanced between theoretical and applied topics. Symposia bridging theory and practice and those combining AI and related fields are particularly solicited. A title for the symposium. A description of the symposium, identifying specific areas of interest, and, optionally, general symposium format. The symposia are intended to encourage presentation of speculative work and work in progress, as well as completed work. Therefore, ample time should be scheduled for discussion. Novel programming, including the use of target problems, open-format panels, working groups, or breakout sessions, is encouraged. The names and (physical and electronic) addresses of the organizing committee, preferably three or more people at different sites, all of whom have agreed to serve on the committee. A list of potential participants who have been contacted and who have expressed interest in participating. A common way of gathering potential participants is to send email messages to email lists related to the topic(s) of the symposium. Note that potential participants need not commit to participating, only state that they are interested. Ideally, the entire organizing committee should collaborate in producing the proposal. If possible, a draft proposal should be sent out to a few of the potential participants and their comments solicited. Proposals will be reviewed by the Symposium Series Standing Committee (Chair: Gita Sukthankar, University of Central Florida; Cochair: Christopher Geib, Drexel University; Associate Chair: Brian Williams, MIT; Vincent Conitzer, Duke University; Boi Faltings, Swiss Federal Institute of Technology; Sonia Chernova, Worcester Polytechnic Institute; and Francesca Rossi, University of Padova). Perceived interest to the AAAI community. Although AAAI encourages symposia that cross disciplinary boundaries, a symposium must be of interest to some community within the AAAI membership. Symposia that are of interest to a broad range of AAAI members are, of course, also encouraged. Expected size. Although the series supports a range of symposium sizes (roughly 25-75), the target size is around 40 participants. Lack of established venues on the topic. The AAAI Symposium Series is intended to nurture emerging communities and topics, so topics that already have yearly conferences or workshops are inappropriate. Qualifications of the organizing committee. The organizing committee should have (1) a good technical knowledge of the topic, (2) good organizational skills, and (3) connections to the various communities from which they intend to draw participants. Committees for cross-disciplinary symposia should adequately represent the disciplines to be covered by the symposium. Symposium proposals should be submitted as soon as possible, but no later than April 22, 2016. Proposals that are submitted significantly before this deadline can be in draft form. Comments on how to improve and complete the proposal will be returned to the submitter in time for revisions to be made before the deadline. Notifications of acceptance or rejection will be sent to submitters around May 27, 2016. Preparing a short review of the symposium, to be printed in AI Magazine. General inquiries regarding the symposium series should be directed to AAAI at fss16@aaai.org. AAAI gratefully acknowledges a grant from AI Journal in support of the 2016 AAAI Fall Symposium Series.